Brake service with your safety in mind. 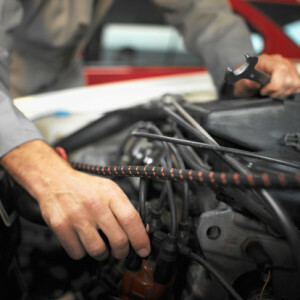 Chucks' Auto and & AC Center auto mechanics will perform your brake service using proper techniques, high quality brake parts, the latest in technical diagnostic equipment and computer reprogrammers. Many newer vehicles require special equipment to bleed brakes, set up tire pressure monitors, setup axle ratios, reset brake warning or ABS lamps, or retract caliper pistons. If proper techniques are not followed on some car makes, brake part damage may occur which can cost you much more on a simple brake job. With factory guides and service knowledge, Chucks' Auto and & AC Center can get your brakes repaired right the first time and get you safely down the road with a quality brake repair job.